It’s the one word pet owners dread hearing- cancer. Sadly, various types of cancer are very common in pets and accounts for nearly 50% of all disease-related deaths each year. At this point in time, cancer is not really preventable, but early detection is key to treatment success. By paying attention to the following signs, you may help bring an issue to your veterinarian’s attention that could save your dog or cat’s life. Swellings – Lumps and bumps are not an uncommon finding, and many are harmless. Be sure to point them out to your veterinarian though, especially if they are not going away or are growing. Odors – More than just a stinky dog? Truly offensive odors need to be checked. Abnormal discharges – Diarrhea, vomiting, blood, and pus are never normal. Similarly, sudden bloating of the belly can be a sign of a problem. Non-healing wounds – Infection, skin disease, or certain types of cancer can all present similiarly. Weight loss – Unless your pet is on a diet, sudden weight loss should always raise a red flag. Appetite changes – Decrease or increase in appetite can be a clue that something is not right and needs to be investigated. Coughing or breathing difficulty – The heart and lungs can be the culprits here, however many types of cancer can spread to the lungs, causing these symptoms. Change in behavior – If your pet is acting lethargic, depressed, or distraught, it may be a symptom of a health issue. Change in bathroom habits – Difficulty using the bathroom, increased potty breaks, and bloody urine or stool may not always signify cancer, but they are never normal. Pain – Limping or tenderness can be caused by a variety of things, but some types of cancer (such as bone cancer) may show up similarly. If you have any questions contact us or reach out to your primary veterinarian. Does Your Cat Have a Green Thumb? Herbs: Basil, German chamomile (NOT English), coriander, dill, and parsley are all kitty approved! Flowers: Cornflowers, impatiens, moon orchids, petunias, and zinnias all get two paws up. Greenery: Bamboo, dwarf palms, and sword ferns are feline-friendly, too. Before bringing any new plants into your home or outdoor areas where your cat may frequent, you can double check if they are safe by consulting the ASPCA’s list of toxic and non-toxic plants. This website features links to pictures and information about each plant, including a description of any dangers to your cat. 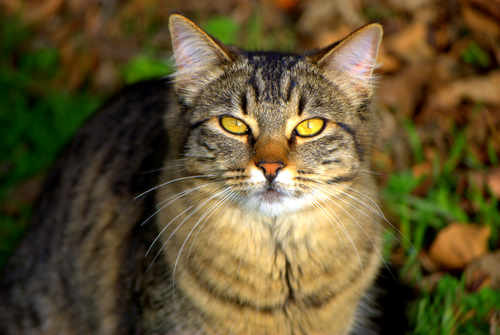 Tags: keep your cat safe in the garden | oakland veterinary referral service | OVRS | plants that are toxic to cats | Veterinary care in MI | what plants are dangerous for cats? For many of us, the heat of the summer means pool parties, barbeques, and sun tans. 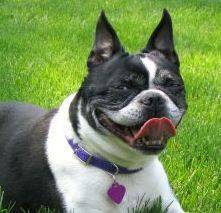 For many pets, though, the heat can quickly lead to heat exhaustion. Dogs and cats have an extra layer of insulation cannot always exchange heat as efficiently as we do. In particular, “smush-face” breeds such as Pugs, Bulldogs, and Persians have a very difficult time. This doesn’t mean that your pet can’t enjoy the sunshine, it just means that you need to take some extra precautions when the mercury rises. Keep a close eye on your pet. If you begin to notice very heavy panting or deep, fast breathing (hyperventilation), it is probably time to get into the air-conditioning. Other warning signs can include increased salivation, lethargy or disorientation, and vomiting or diarrhea. Unchecked these signs can quickly develop into seizures or coma. Pets should be observed regularly if left outside unattended. Never leave them in a car unattended. Make sure your pet has what it needs. Fresh, cool water should be available at all times. If you are hiking or walking be sure to bring an extra bottle for Fido. Your pet should have access to shade and the ability to get out of the heat if desired. Consider getting a small wading pool for your pet to lounge in. Don’t chance it. 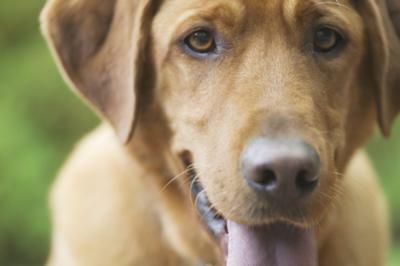 If your pet is exhibiting signs of heat exhaustion, seek veterinary care immediately.